Liven up your wardrobe with this top from Stop. 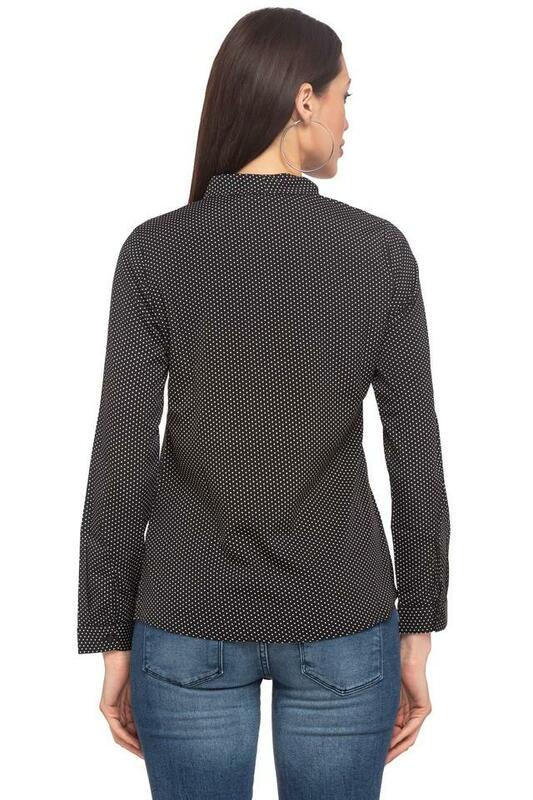 Made from good quality fabric, this top will keep you sweat free all day long. 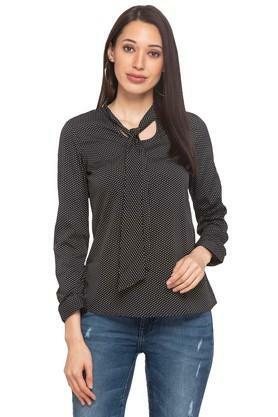 Featuring a tie up neck, full sleeves and dot pattern, this top holds an elegant charm. 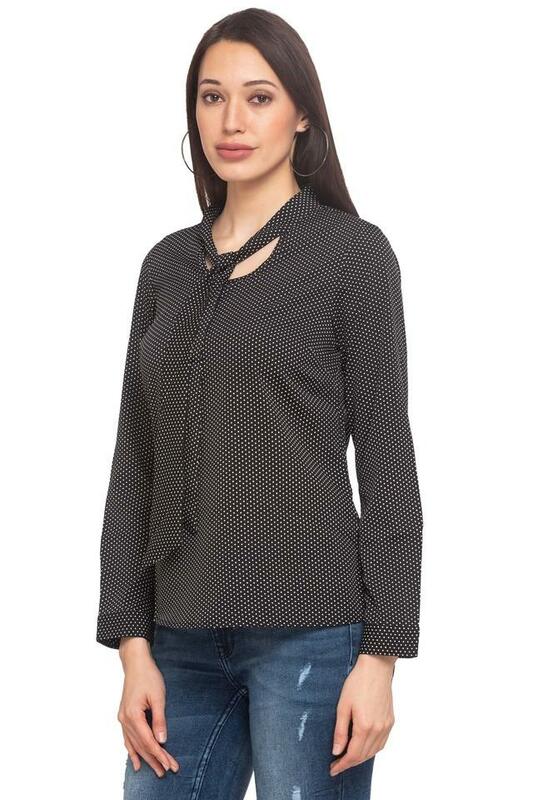 Style a suave yet relaxed look in this top. Make heads turn by teaming this top with a pair of jeggings and stilettos.